Here are the best chrome extensions which you haven’t heard, but are truly and innovative and powerful. So, without giving much bla bla in the introduction of this article, here goes the chosen list of top 100 chrome extensions so far. 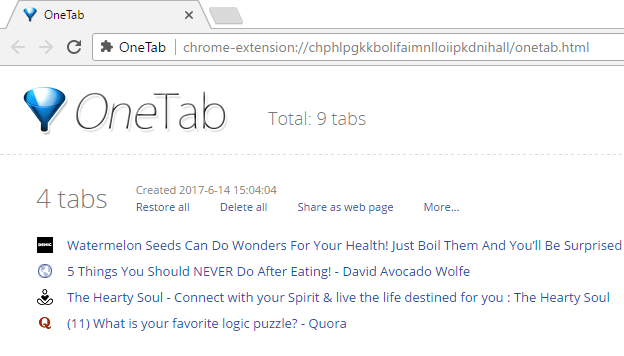 Onetab – Convert all your tabs to a list at once. 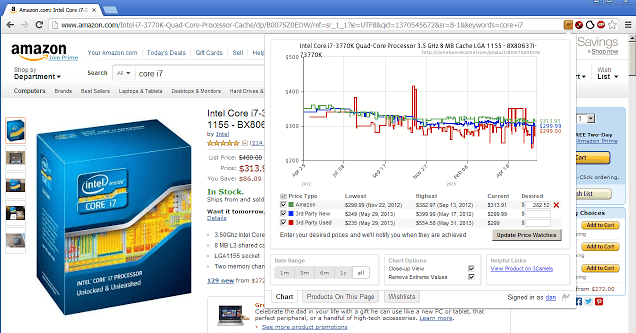 Free up 95% memory and makes your browsing experience faster. 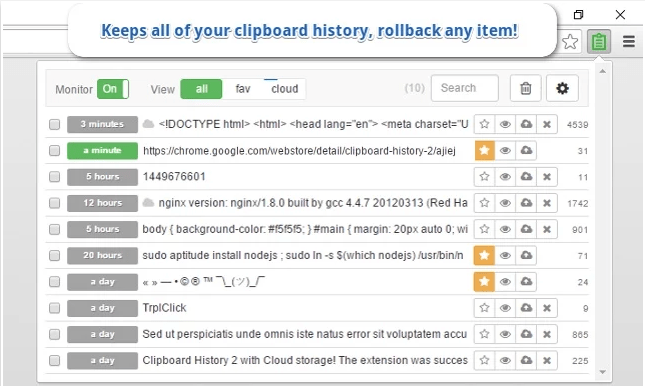 Clipboard History 2 – Keeps track of all the things you copied and you can fetch them at any time. Google Dictionary – Just find meaning, info and more details of any unknown term from any webpage. StayFocusd – Stops you from using facebook, twitter etc. (Sites you pick) after a certain time daily, thus limiting your time on time wasting websites and in turn increasing your productivity. Turn Off the Lights – The entire page will fade to dark except the video, so that you can watch the video in cinema mode on youtube and other video sites. Momentum – Replaces your new tab page with a page customized as per your wish, containing to-do, a quote which changes daily, weather info etc. Honey – Automatically fetches coupon codes while you shop to save you lot of money. Very useful for online shoppers. Flash Video Downloader – Download video and flash from any website in single click. Great for downloading videos. Reedy – Read any webpage or ebook online, 4 times faster with this speed reading app. 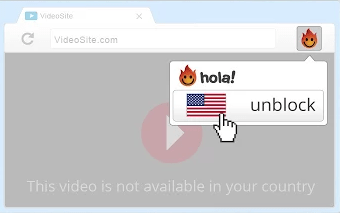 Hola – 100% free VPN extension which lets you browse blocked websites in your country. Checker Plus for Gmail – Instantly read or listen and even delete emails from your gmail account. Useful for people with heavy Gmail usage. CrankWheel Screen Sharing – Share your browser screen with anyone. A very useful productivity app for working collaboratively. Ghostery – See who is tracking you while you browse. See, what digital data you are sharing while you are browsing any website and make informed decisions about choosing or opting out. Emoji for chrome– Choose and paste any emoji anywhere with this extension. Point – Just share the link to your friends via email with one click using this extension. Hunter – Fetches every single email address from a website using this tool. Website destroyer – Destroy any website and release your frustration on any web page or facebook profile by destroying it completely. A fun to use chrome app. Stylebot – Change any website style and font to your wish. A great tool for customizing website appearance as per your wish. PanicButton – Scared what happens if your boss or mom enters the room while you browse. just press the panicButton to hide all tabs at once. You can restore them later when they leave. Chrome Remote Desktop – Access other’s computer or let anyone access your PC with this chrome extension by Google. 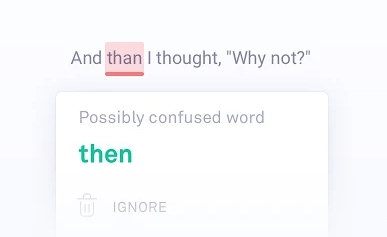 Grammarly – Very useful chrome extension to check your grammar as well as check spellings, while writing emails, articles etc. PushBullet – Send and recieve messages including SMS, whatsapp, Facebook etc. right inside your chrome browser. MightyText – Sync your phone with your chrome browser. Get SMS Messages, Call logs and details, Phone Notifications, Pics, Battery Status etc. of your phone in your PC. Click & Clean – Clears your history, cookies and sensitive data with one click. Awesome Screenshot – Takes screenshot of the selected or full webpage. Also records screencast. It has functionality to blur sensitive data also while recording. Great productivity tool for bloggers.